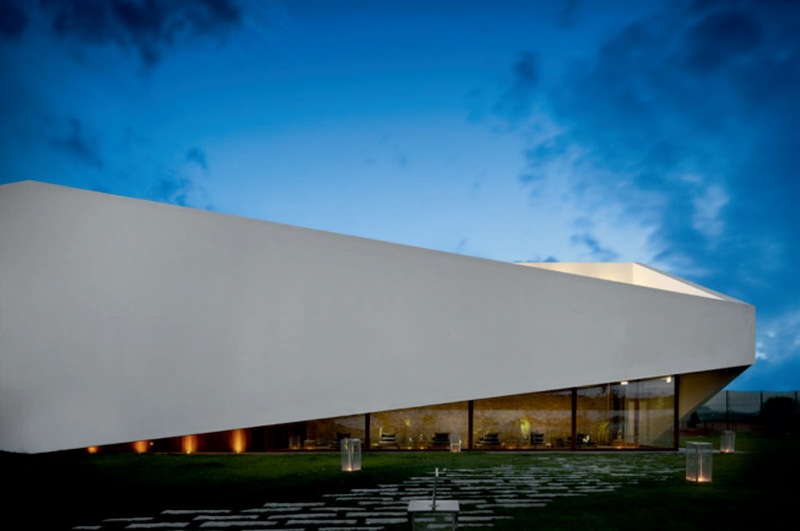 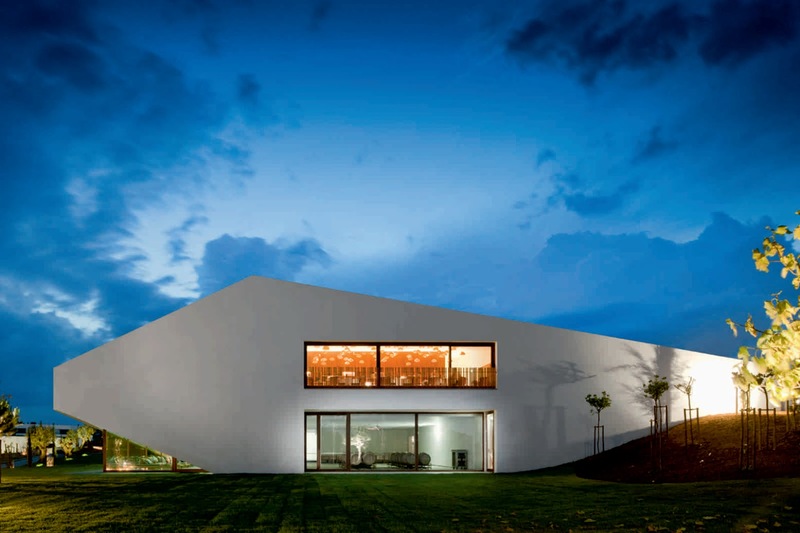 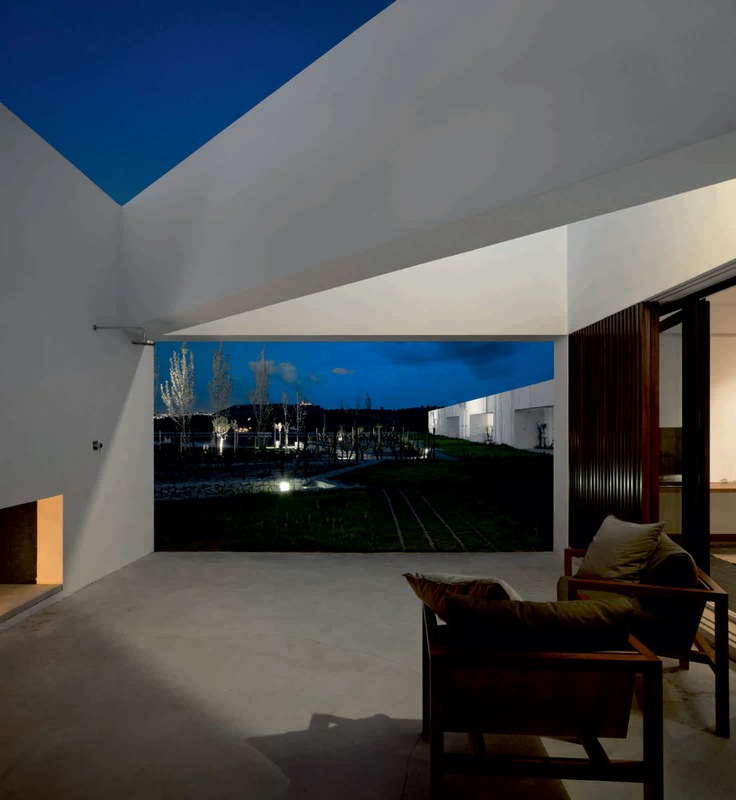 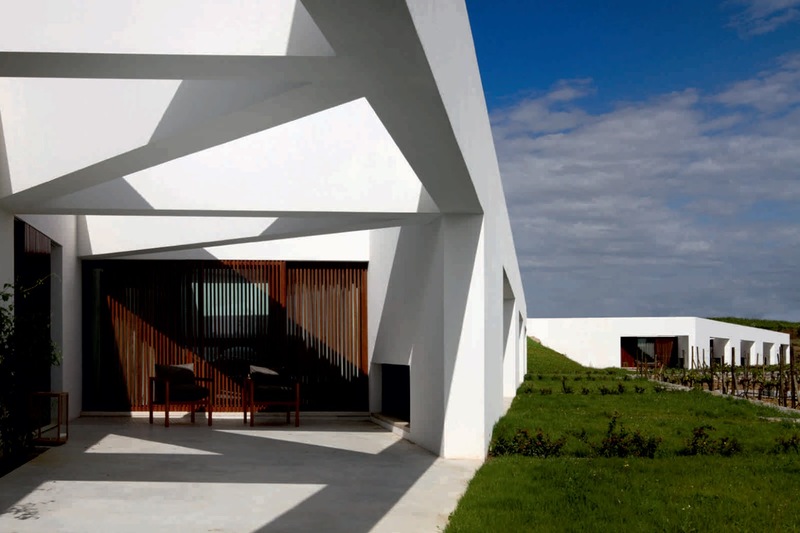 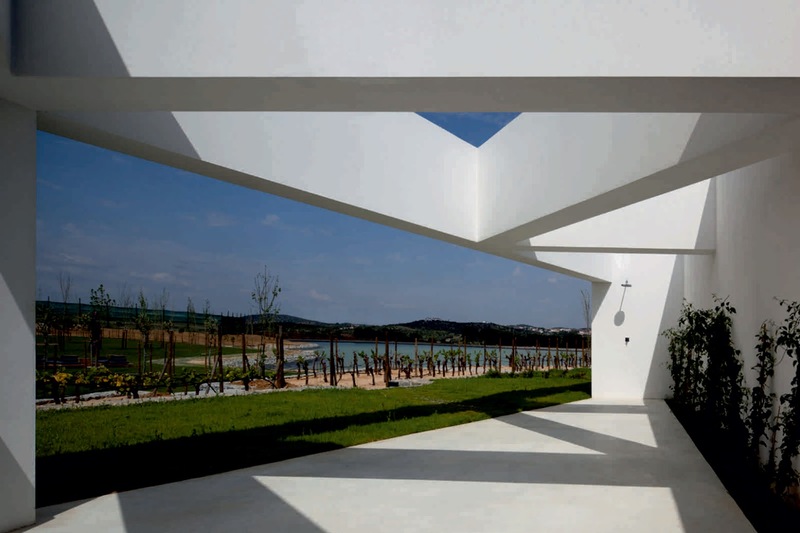 Located in the heart of Alentejo, set in a unique landscape defined by Vineyards and a lake, L'AND Vineyards is an exclusive country club with only 22 suites integrating modern architecture with nature. 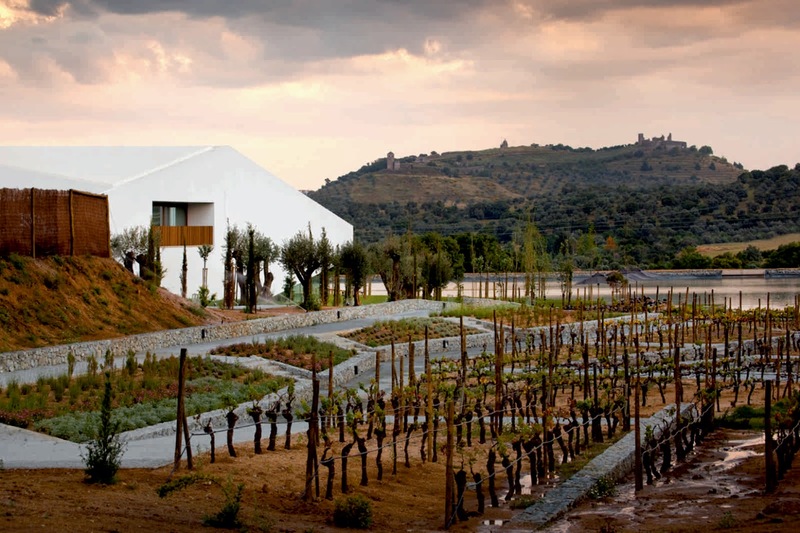 Integrated in the L’And Vineyards resort, a concept that results of the synergies yielding from the family-based winemaking and agro-business company Sousa Cunhal, the Hotel is the key building of the whole ensemble. 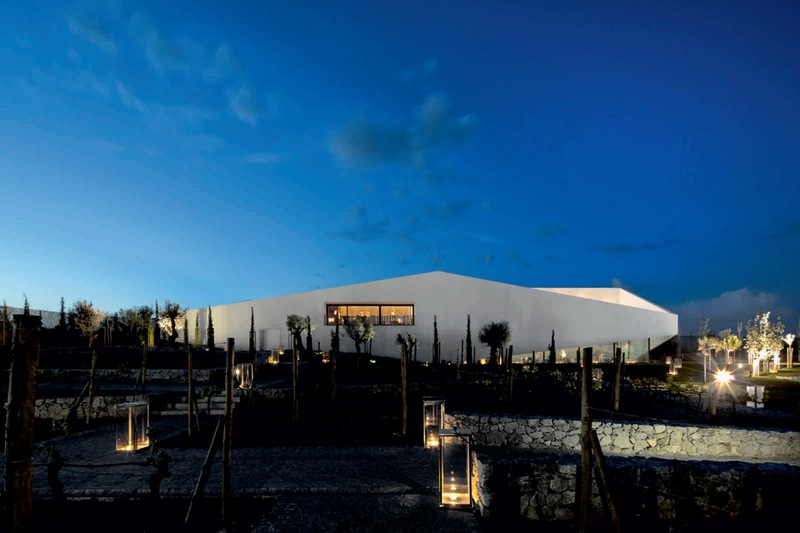 The resort is situated around a formal vine garden and a swimming pool commanding sublime views of the lake and Medieval hilltop castle of Montemor. 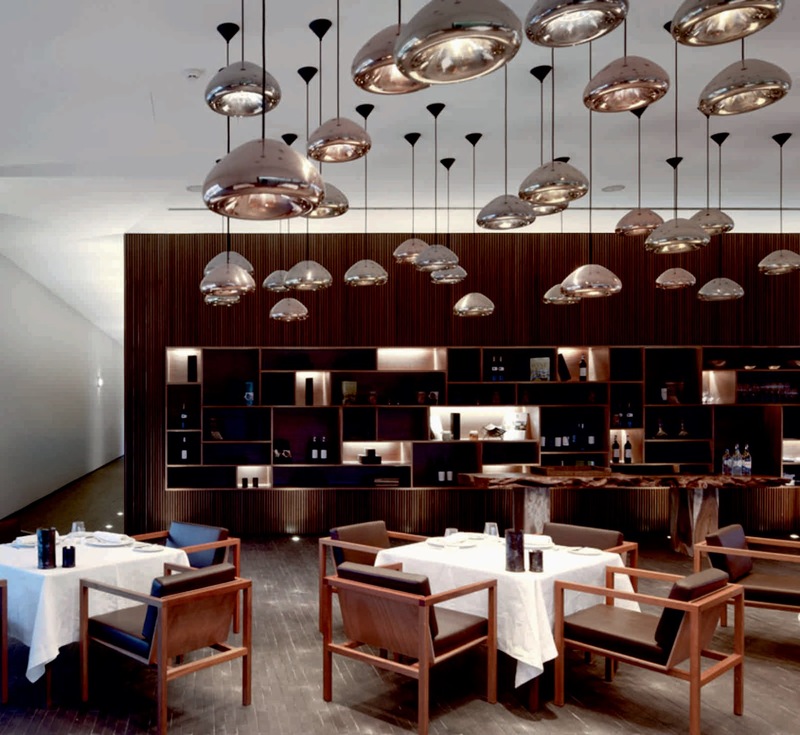 At the central reception building a contemporary reinterpretation of Roman and Arabic atrium architecture creates a spacious living room, library, gift shop offering bespoke L'ANDMADE products. 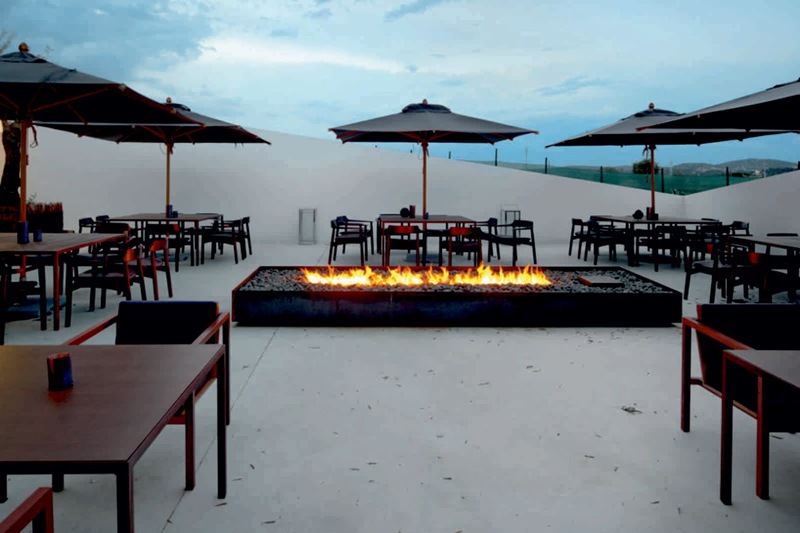 It has the reception, clubhouse, restaurant, Spa with indoor pool, and the back-of-house service support to the adjacent townhouse suites. 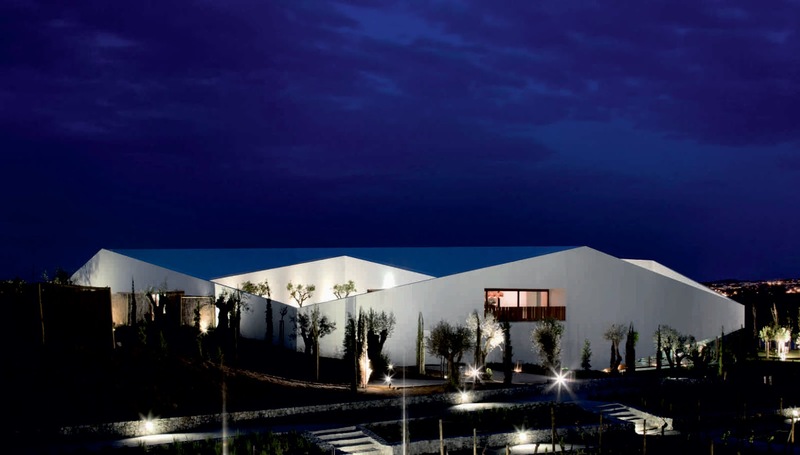 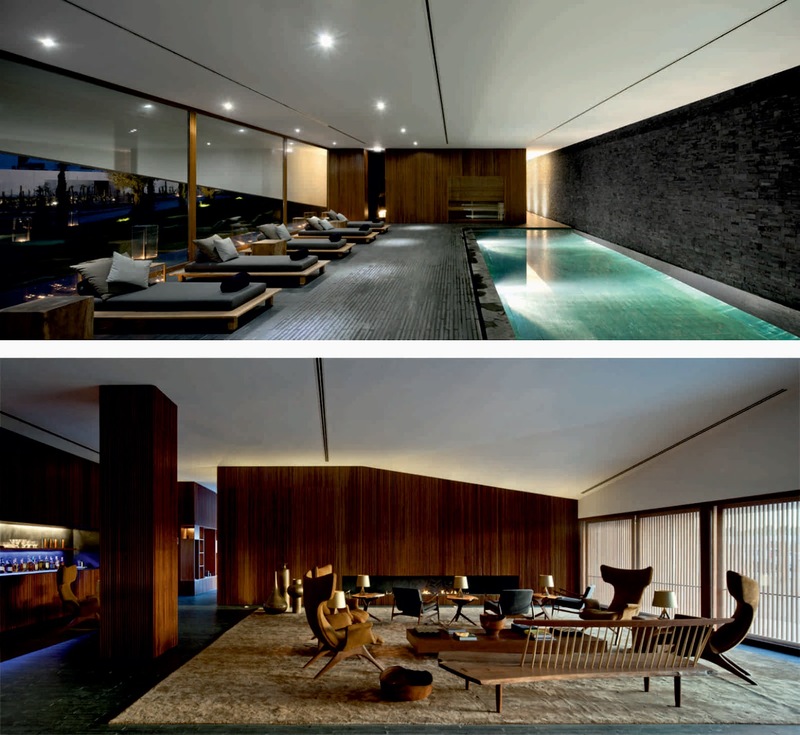 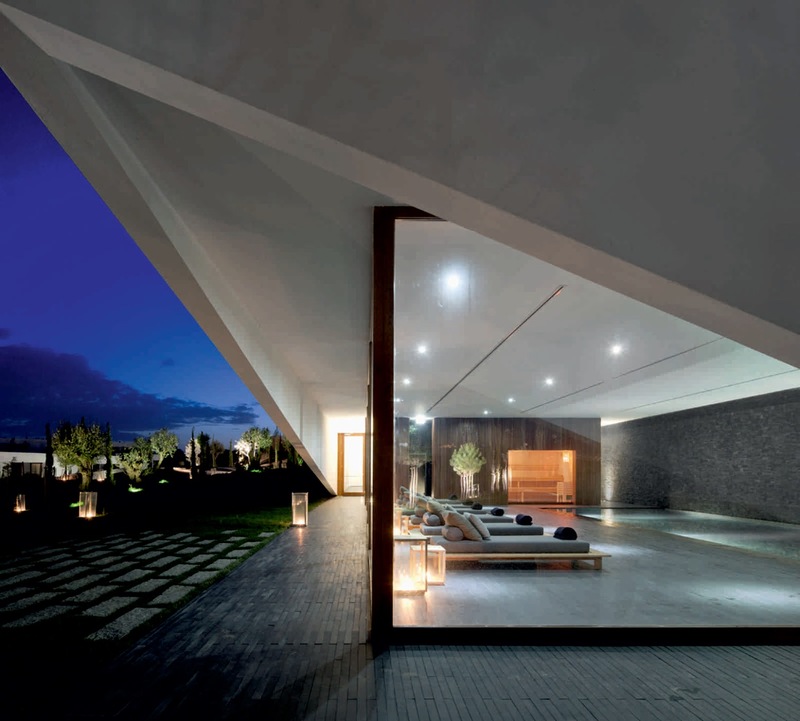 The building also houses the winery, the "wine club", an 800m luxury spa, a courtyard restaurant and lobby lounge area. 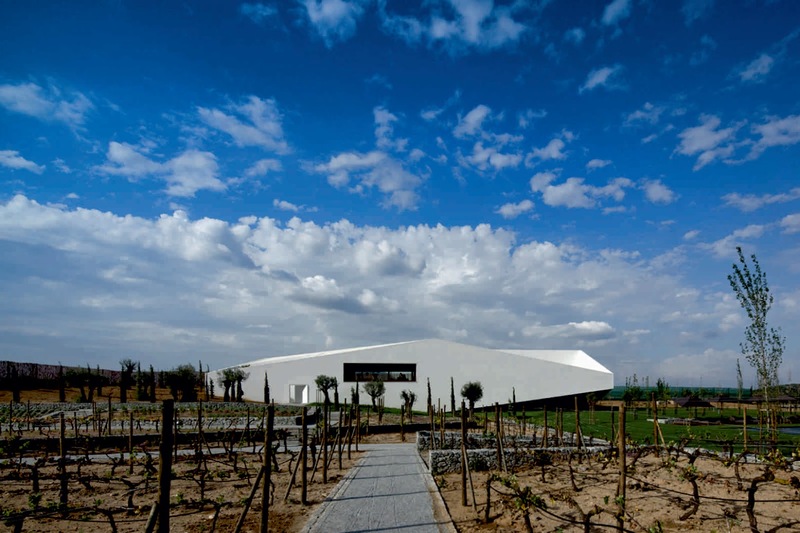 The guests can experience the whole winemaking process, from grapes selection, crushing, fermentation and pressing, to barrel aging, blending, filtering and bottling. 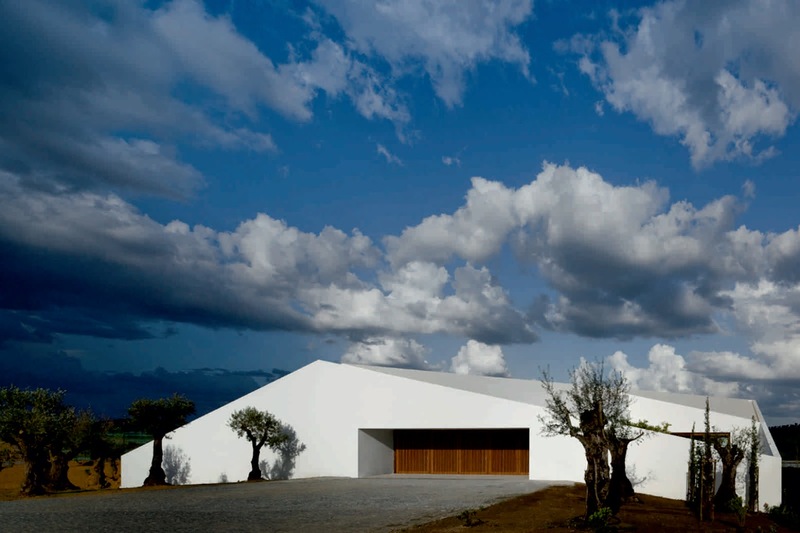 Inside, oak wood fluted wainscots and thick black slate from Alentejo, convey an atmosphere of comfort and warmth, creating a striking contrast with the roughness of the areas devised for the wine production operation.